Jackson is known for providing the voice for the serial killer “Ghostface” in Scream as well as Scream 2, Scream 3 and Scream 4. He has also appeared in animated films and television series like The Walt Disney Company’s The Book of Pooh. He also voiced the maniacal monkey genius Mojo Jojo and the Rowdyruff Boy Butch on The Powerpuff Girls. Jackson has also played an active role in the video game industry; voicing heroes for Galleon and Baldur’s Gate, robots in Thrillville: Off the Rails and working for several Star Wars and Star Trek titles. On top of that, he provides voices for all the original cats on the Catz virtual pet program. He has contributed to Final Fantasy X and King’s Quest VII and has done educational programs for The Learning Company and Broderbund. For American McGee’s Alice and its sequel Alice: Madness Returns, he also provided the voices for the Cheshire Cat, the Mad Hatter, the Dormouse and the Jabberwock. He played the tyrant Colonel Nohman from Zone of the Enders and Zone of the Enders: The 2nd Runner. He also voiced John O’Conner in Delphine Software International’s Fade to Black. Jackson voiced Mr. Mucus in Mucinex ads for ten years, originating the rough New Yorker characterization in 2004. 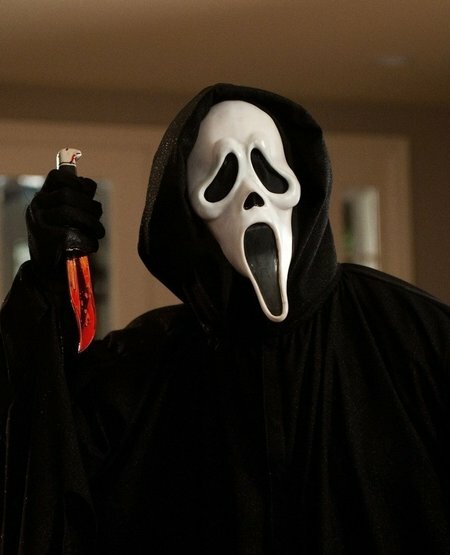 On October 10, 2017, Keke Palmer confirmed in an interview that Jackson, who voiced Ghostface in the film series, would return for the third season of the slasher television series Scream. He will be replacing Mike Vaughn, who served as the voice for The Killer in the first two seasons.